I love Tuesday afternoons. On Tuesday I always leave work on time. On my way home, I stop to pick up our weekly box of organic produce. I love looking forward to my little organic Tuesday surprise. I never know what I’ll get. And then there’s the extra “add-ons” that my hubby likes to surprise me with…6 bunches of random greens, 25 lb. bag of carrots, bags of raw nuts, dried herbs, raw milk, grass-fed beef…who knows what else? After some good-natured teasing from the ladies about my hubby’s gigantic add-on orders and who’s gonna be cooking it all, I rush home to unload my box. It’s feels like Christmas as I eagerly unwrap the brown paper to reveal this week’s secret prize. 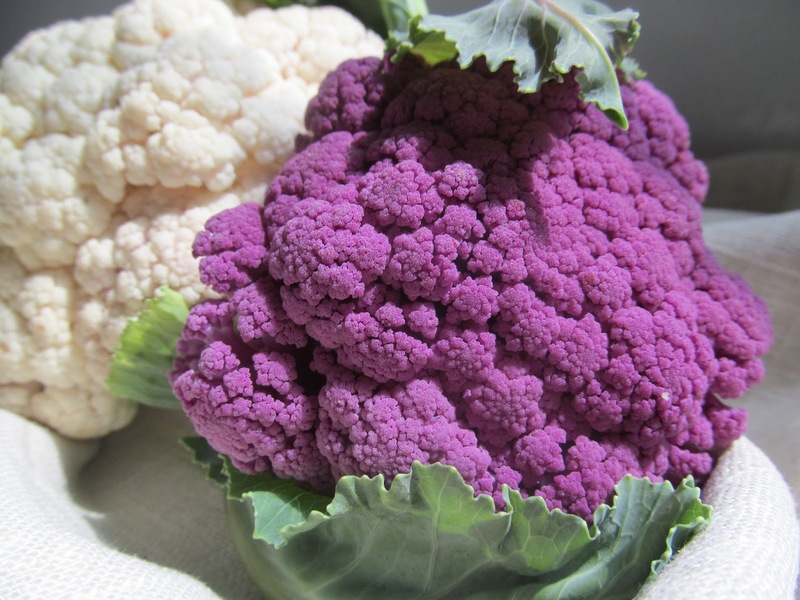 There’s always something a little special or unexpected, like watermelon radishes, bright green spiral-tipped cauliflower or heirloom tomatoes. 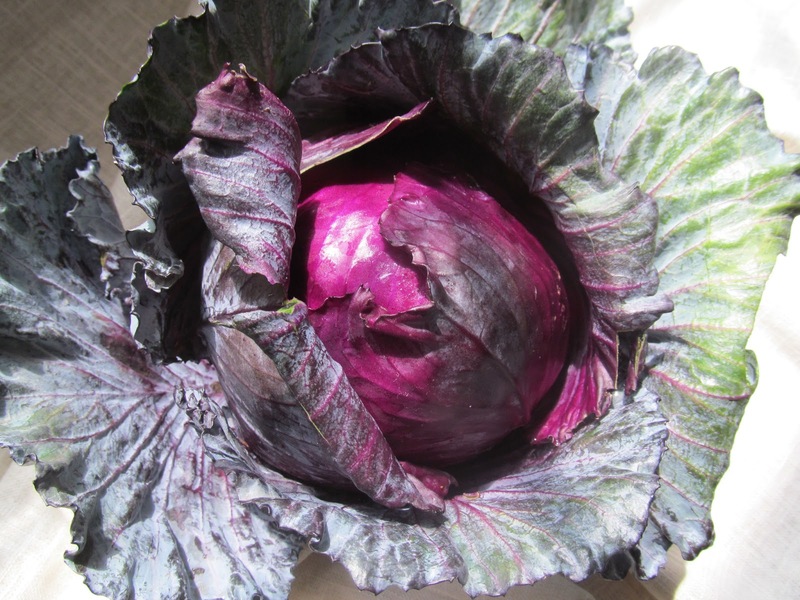 Even a simple head of purple cabbage seems like a work of art. I realize that I am a bit of a nerd when it comes to food, but there is just something about unique produce that appeals to my sense of wonder. I am fascinated by the amazing colors and patterns that Mother Nature weaves into her works of art! 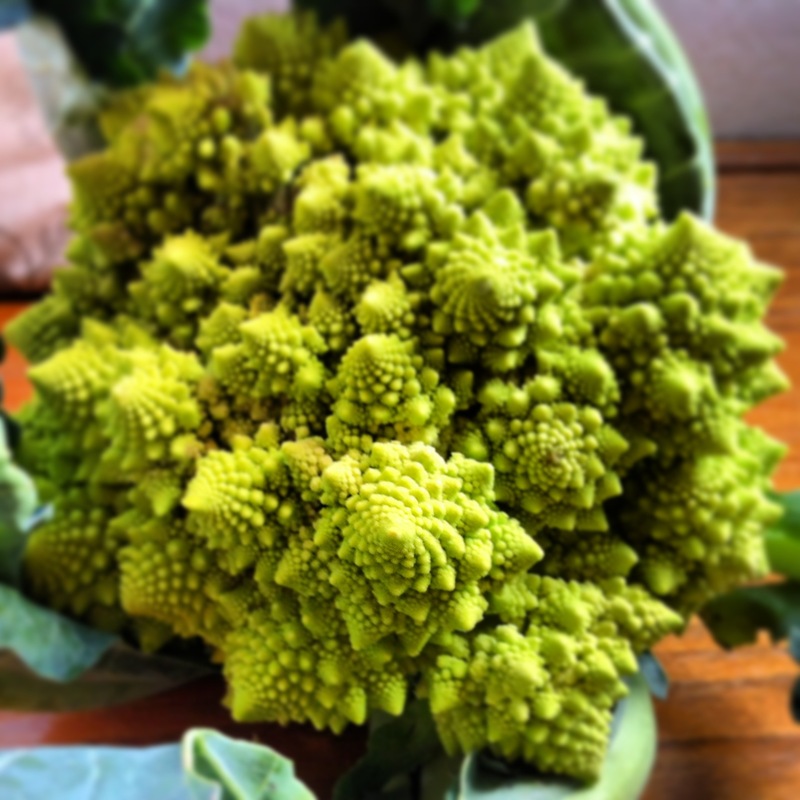 I love to admire this beautiful produce, but I often find myself wondering, what to do with this? Some of my tastiest and loveliest meals began with that question. 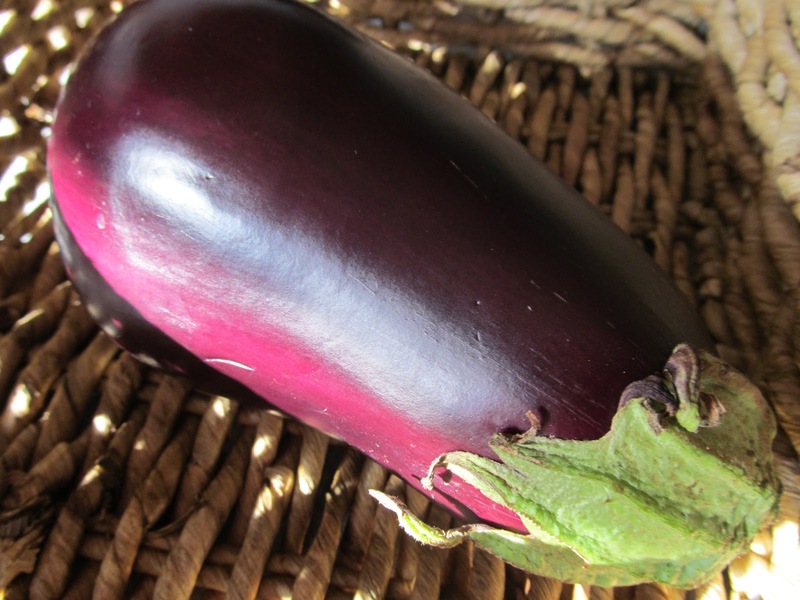 A few weeks ago I was smitten by the deep aubergine color of this perfectly exquisite eggplant. I don’t have a large repertoire of recipes for eggplant so, I usually just grill it. I felt adventurous that week. Let’s do something new! 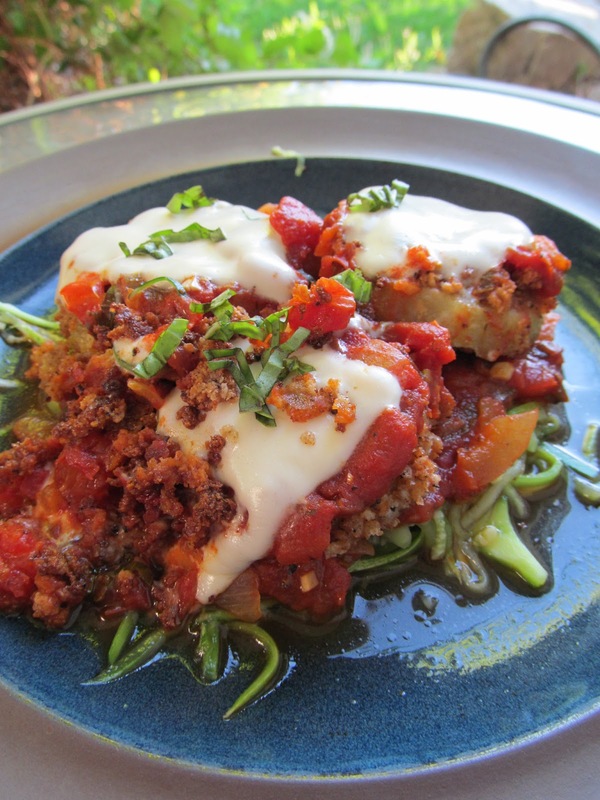 How about Eggplant Parmesan? 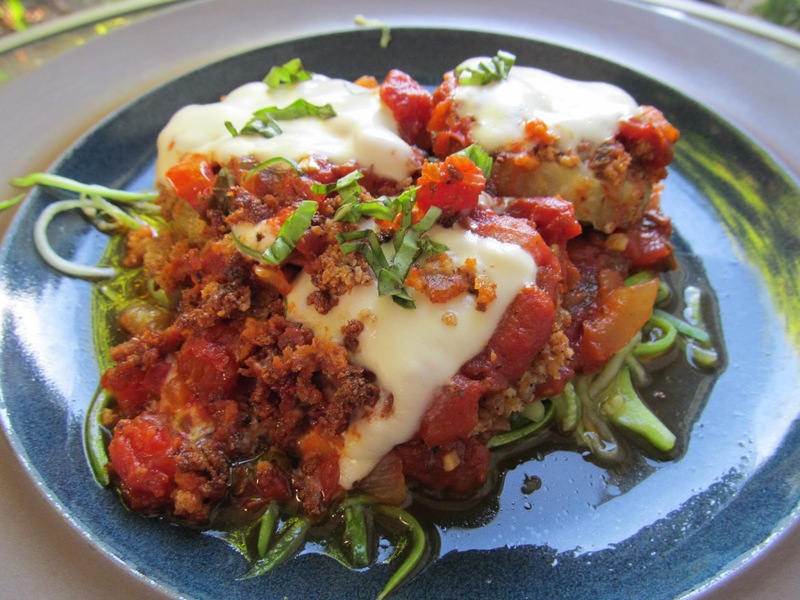 I have never made eggplant parmesan and I wanted to make it gluten and dairy-free. I decided to forgo the research, use my imagination and wing it.I started with this deliciously simple marinara sauce that I used to make my Zucchini Lasagna Rolls (find the recipe here). Fresh chopped onions, garlic, tomatoes, basil, oregano, parsley. Toss it in a pan, easy peasy, homemade, healthy. I could have used gluten-free pasta, but I opted to use zucchini “noodles” instead. I do not have a spiralizer, but I recently found this nifty gadget at the grocery store. It works pretty well for making thin noodles out of raw veggies. Or, if I want a little more substance to my veggie pasta, I simply use a carrot peeler to make a wider noodle. 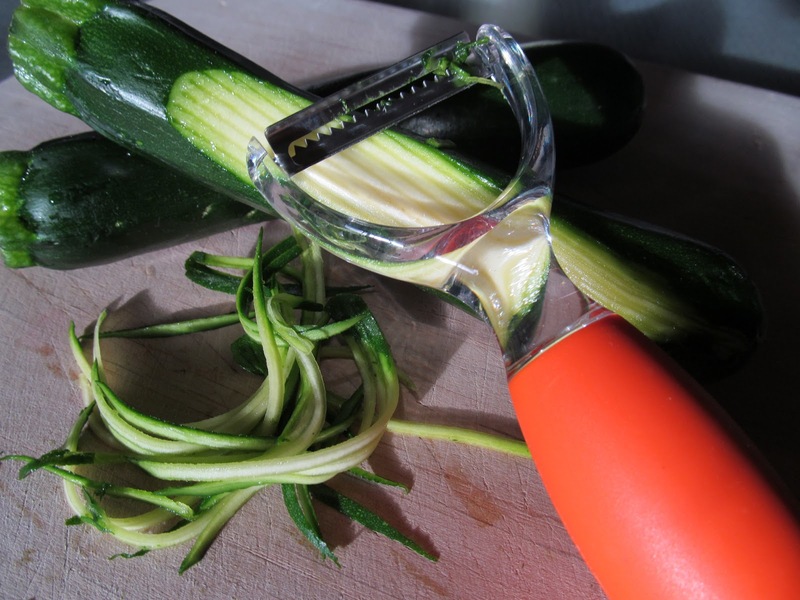 Either way, raw zucchini or yellow squash pasta is great for a cool and light summer meal. This night my noodles were not quite raw, for I sauteed them slightly, keeping them light and fresh with a bit of crisp still intact. Now for the eggplant. First I peeled it and cut it into 1/2 inch rounds. Then I sprinkled the rounds with sea salt and set them aside in a dish for about 20-30 minutes. The salt pulls some of the moisture out of the eggplant so it won’t get too mushy when you fry it. It’s kind of fun to watch your eggplant sweat! And for the breading, I toasted a few slices of gluten-free bread (get them nice and toasty), let them cool then grind them in the food processor, turning them into crumbs. If you happen to have packaged gluten-free bread crumbs, even quicker! I put the crumbs in a bowl and seasoned them with some finely minced garlic, dried basil, oregano, salt and pepper. In another bowl, I whisked together 1 cup of all purpose gluten-free flour (you could use brown rice, garbonzo or other gluten-free flour) and a little bit of almond milk. Naturally, I didn’t measure, just added milk until a batter formed, thin enough to coat the eggplant, yet not too runny.